Another game, another night with minimal offense. The Kings and Sharks skated to a 1-1 tie through the first 60 minutes of action last night in San Jose. Neither side scored in overtime, however the Sharks won via the shootout after four Kings players couldn’t find a way to put one past Antti Niemi. Late last night we heard from the Kings and Sharks’ head coaches (linked here), as well as comments from LA’s locker room (link). Now, we go across the aisle to see what some of the Sharks players were saying after their 2-0 loss to the Kings. The Kings and Sharks are now tied in their six-game season series. San Jose picked up game one on home ice 4-2, just a few weeks ago. Tonight, LA won 2-0 at Staples Center. We can delve into the specific numbers tomorrow – but it sure seems like when the Kings take more than 30 shots on goal, the win. Tonight they put 33 shots on Sharks’ goalie Antti Niemi and skated off the ice at Staples Center with a 2-0 win. After the LA Kings were defeated by Vancouver in the first round of the 2010 NHL Playoffs, it was a bad feeling that stuck around all summer. Which Team Won’t Be Back? The NHL’s 2010-11 season is now over, with the Boston Bruins crowned as Stanley Cup Champions. For those ready to turn the page and look ahead, let’s talk about the Western Conference standings. 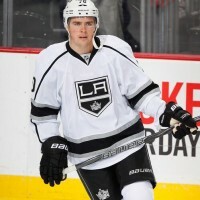 LA Kings Roundtable – Stanley Cup Conteners in 2012? On the eve of the NHL’s post-season coming to end, there are still two open questions – who will win the Stanley Cup this year, Boston or Vancouver? And what about the Kings? Need to add a little Kings hockey to your week?